The neighborhood of Oakland is the center of much of Pittsburgh’s cultural heritage, as well as its cultural present. 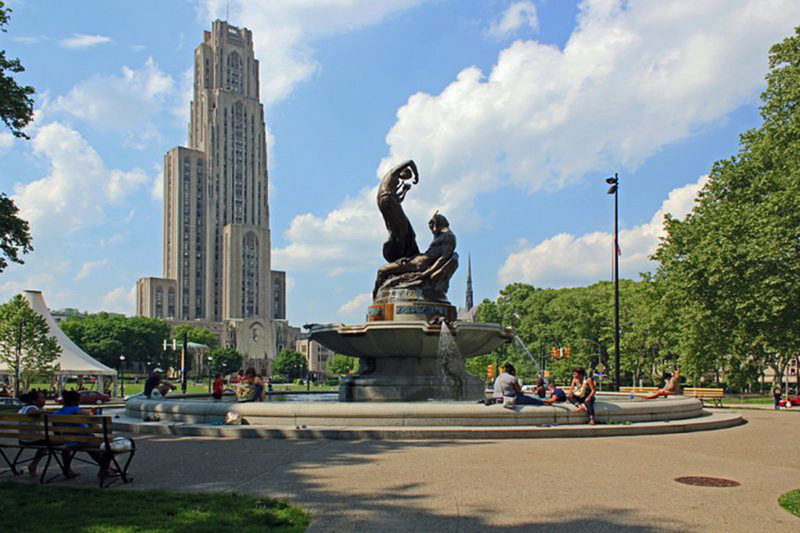 It's the home to the University of Pittsburgh, with its many architectural jewels, as well as the Carnegie Museum and a plethora of other sites. Mazeroski Wall:The one remaining piece of Forbes Field (torn down circa 1971), the Mazeroski Wall is a piece of the brick outfield fence over which Bill Mazeroski hit his World Series winning walk-off home run to beat the New York Yankees in 1960. Forbes Field Home Plate: Set in the floor of what is now a University of Pittsburgh office and classroom building. The former Schenley Hotel, now the University of Pittsburgh’s student union. Schenley Plaza: A beautiful garden and park featuring a carousel and a variety of vendors. The University of Pittsburgh bookstore, offering a wide variety of rare and scholarly books. Vouchers for two glasses of wine of your choice at our comfortable Oak Room pub. Mansions Discover Oakland Package: $299 plus tax. Guest pricing is per double occupancy and that Deluxe King rooms may be in either the Fifth Avenue House or Amberson House. Please note that some Nationality Rooms may be closed to the public due to class schedules. Add: Two admissions to the Carnegie Museum of Natural History and Museum of Art for $38 additional dollars. Add: If you have a group of ten or more, Mansions on Fifth can arrange a guided tour of the Nationality Rooms at no additional charge!